Hello makeup lovers, meet your new secret weapon! 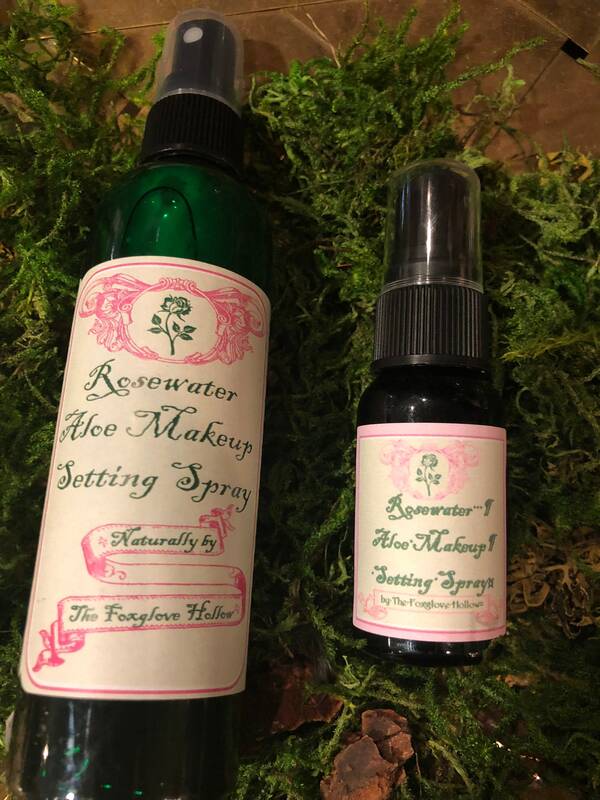 Stop spending money on those designer makeup brand sprays loaded with extra chemicals and give our Rosewater Aloe Setting Spray a try! The Foxglove Hollow packs this little green bottle of love with all natural ingredients your skin and application will thank you for! Each ingredient has a purpose to achieve the most beneficial and nourishing addition to your routine. NOT a makeup guru? No problem! These ingredients can be applied to any skin type at any time to help tone, moisturize, and condition! 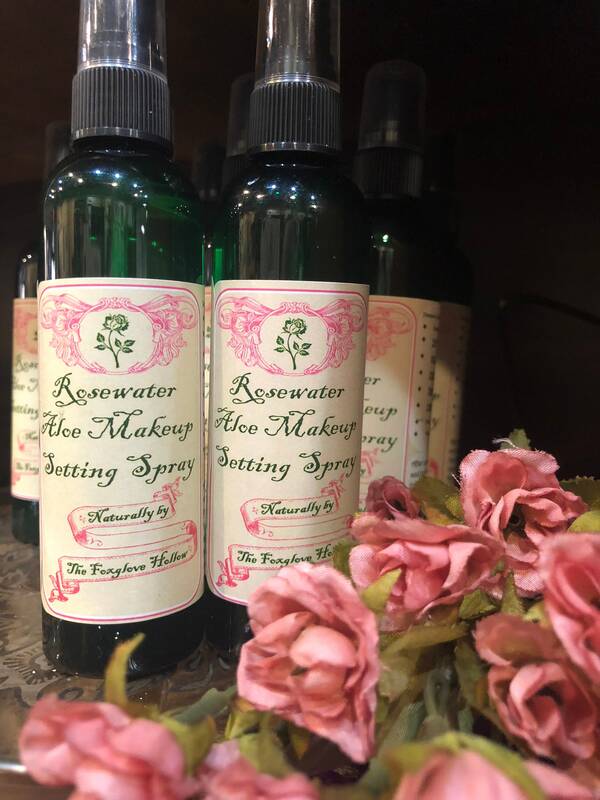 Apply after freshly washing your face, during the day for a pick me up, or even keep in the refrigerator to spritz on for a cool down that awakens your skin!